Infowars owner and conspiracy theorist Alex Jones claimed a "form of psychosis" made him question whether certain events, including the Sandy Hook massacre, were staged. Jones, who previously suggested the 2012 elementary school shooting was a “hoax,” acknowledged this week that the elementary school shooting was real during a sworn deposition released this week. The deposition was recorded and posted online by the Texas law firm representing some of the Sandy Hook families, Kaster Lynch Farrar & Ball, LLP. "I, myself, have almost had like a form of psychosis back in the past where I basically thought everything was staged, even though I've now learned a lot of times things aren't staged," Jones said in the deposition. "So I think as a pundit, someone giving an opinion, that, you know, my opinions have been wrong, but they were never wrong consciously to hurt people." Jones blamed the "trauma of the media and the corporations lying so much" for causing him to distrust everything. “Kind of like a child whose parents lie to them over and over again,” he said. "So long before these lawsuits I said that in the past I thought everything was a conspiracy and I would kind of get into that mass group think of the communities that were out saying that," Jones said in the deposition. "And so now I see that it's more in the middle... so that's where I stand." Twenty children and six adults were killed in the shooting in Newtown, Conn., on Dec. 14, 2012. 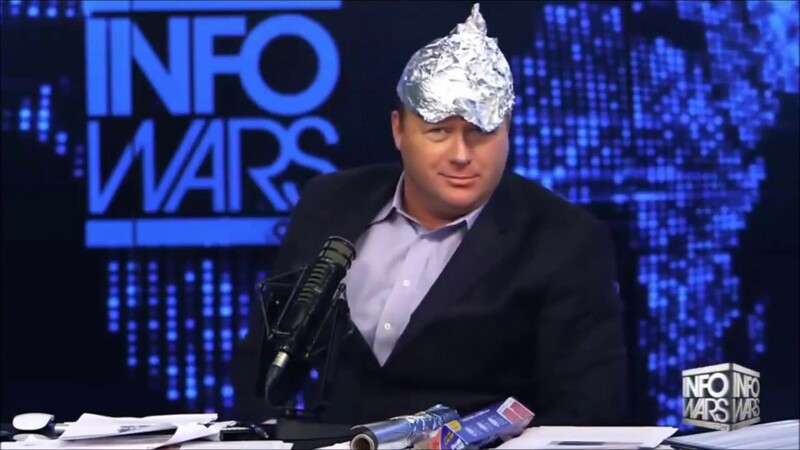 Jones has repeatedly suggested the shooting wasn’t real on InfoWars.com and on his three-hour radio program, which he previously claimed was carried on more than 160 stations, according to CNN. He currently faces multiple lawsuits from the families of students and teachers killed in the shooting. Two lawsuits were filed in April 2018 by three parents whose children were killed. The lawsuits each sought at last $1 million in damages for "a severe degree of mental stress and anguish" and "high degree of psychological pain" that the families say they suffered as a result of Jones’s statements. "We've clearly got people where it's actors playing different parts of different people," one lawsuit quotes Jones as saying in March 2014. "I've looked at it and undoubtedly there's a cover-up, there's actors, they're manipulating, they've been caught lying and they were pre-planning before it and rolled out with it." Jones later claimed on his website that his comments were taken “all out of context” and that it wasn't "even what I said or my intent." Weeks later, Jones was sued again by the families of six victims and and FBI agent who responded to the shooting. "Defendants' defamatory publications were designed to harm the Plaintiffs' reputation and subject the Plaintiffs to public contempt, disgrace, ridicule, or attack," the lawsuits obtained by CNN allege. "Defendants acted with actual malice. Defendants' defamatory statements were knowingly false or made with reckless disregard for the truth or falsity of the statements at the time the statements were made."